The Green Party have gained an additional MEP and have beaten the Liberal Democrats on national vote share to gain 4th place at the European Elections. This is the good news story that Green Party activists and supporters are looking to share. A levelled look at the results however paints a less rosy picture. Firstly a look at the Green Party vote share shows a drop from the 2009 total of 8.6% to just (at the time of writing) 7.87% in 2014. Not a big drop, but still a drop when they were meant to be having ‘a Green surge’. 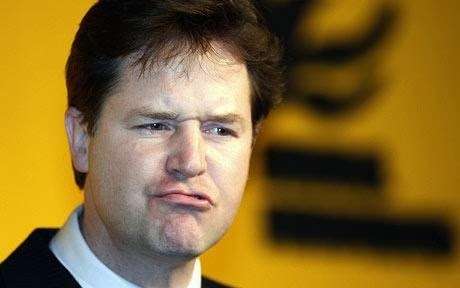 The Liberal Democrats have also seen a big drop in vote share. In 2009 they picked up over 2 million votes (13.7%). In 2014 they have secured just 6.87% (down 6.88%). It is hard to conclude from these stats that The Green Party’s success in coming 4th ahead of the Lib Dems is explained through anything other than a Lib Dem collapse combined with Greens maintaining a rough 8% approximate vote share. Simply put, The Green Party didn’t really beat the Lib Dems, the Lib Dems have lost to The Green Party! In addition to this, The Green Party need to also look at the 2 target seats that they failed to win – the East of England and the North West. Both losses are partially explained by UKIP doing very well and Conservative vote holding up but, and this is a big but, in both regions The Green Party vote share also dropped! The South West however, where The Green party won their additional MEP, stands as an exception to this observation where The Green Party gained vote share. These results throw up some difficult questions from The Green Party. The Green Party is still moving forward and growing in size and influence, but how slow does progress have to be before it ceases to be progress?